John de Montfort and the Struggle for Brittany – History… the interesting bits! You are most welcome, and Best Wishes, to you, also. I very much enjoyed this post. For me, it’s fascinating to read the names of people I’ve heard of from history books – e.g., Navarre, Gaunt, etc., and connect them to the more prominent historical figures that are much more well known with those names. 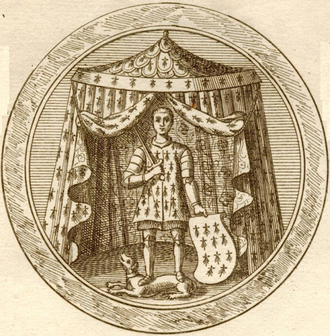 I’ve always been very interested in the story of Richard III and this gave me another connection point with him and his family. Have you thought about doing a podcast with these stories? They are so interesting, and you make them come alive. I think they would be wonderful audio stories. Anyway, thank you again for another excellent history lesson. Although I’ve read a bit about Brittany and the ‘difficult’ relationship the dukes often had with the English crown, I didn’t know this detail. Thank you. More information about our past. This time about our links with Brittany and France. So much to learn about but these posts do help. They often ‘marry up’ with other posts, more connections to our past. Thank you Sharon. This is an interesting post about an overlooked aspect of history. The earliest documented occurrence of my surname is one of the signatories of the second treaty of Guérande. I suppose that an article written from a Breton perspective would mention the part of Dagworth’s co-commander, Tanguy du Chastel at la Roche-Derrien. He was from the same family as Guillaume, who was killed by Richard of York at Pontoise in 1441. His action there saved the King’s life. A small point – I don’t think Brittany would have been considered within France at that time. It was making separate foreign treaties, such as the engagement of Anne with the future Edward V.
I totally agree David – Brittany was a part of France geographically, rather than politically, and from a Breton point of view, they didn’t consider themselves part of France. However, Breton dukes owed fealty to France so, although the relationship was a fluid one, and not always friendly, the kings of France, certainly, saw Brittany as a part of France and were always seeking ways to bring it under the direct control of the crown, hence, when Anne of Brittany married Charles VIII, the French actually inserted a clause insisting that, should Charles die, she then marry Charles’ heir, Louis (even though he was already married). 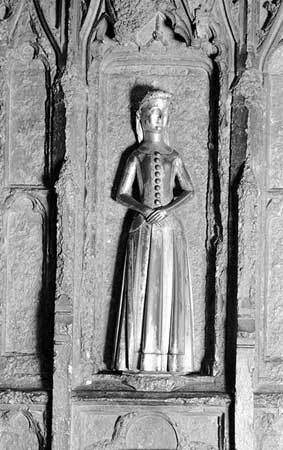 Pingback: The Fascinating Marital Exploits of Joan, the Fair Maid of Kent – History… the interesting bits!